Homeowners in the Alto Via Court neighborhood have filed five tort claims against ACHD after claiming the county caused their homes to become damaged due to a landslide. ACHD voted on Thursday, May 5th, to close down Alto Via Court and part of Strata Via Way in southeast Boise due to potential landslides exacerbated by rainfall. Since then, the county has reopened nearby Strata Via Way for local access, but the damage continues to get worse in the neighborhood. The homeowners who filed the tort claims—which mean there could be lawsuits in the future—claim the county is at fault for installing a pipe which was supposed to prevent stormwater erosion. 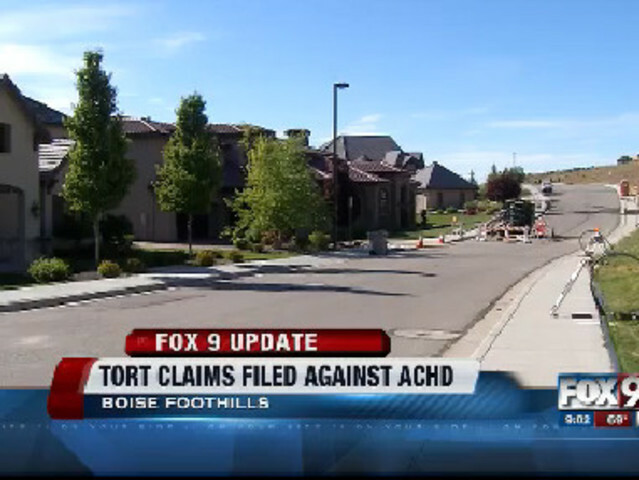 ACHD claims that the instability of the ground was caused by construction of homes in the area. Residents eyeing to move from the subdivision are facing an added complication due to the restriction of moving vans on the roadway.